Commercial Road is one of the main shopping centres in Portsmouth where many of the major store names can be found including WH Smiths, Argos and most of the banks and building societies. There is also a photography shop called Jessops and many music shops. The above picture is looking down Commercial Road. The city centre has buses arriving from most parts of the city. During Christmas there are lights and a tree put up. Old Commercial Road used to be the main shopping centre and is now home to Charles Dickens Birth Place. The Guildhall and Portsmouth and Southsea Railway Station are situated alongside Commercial Road. 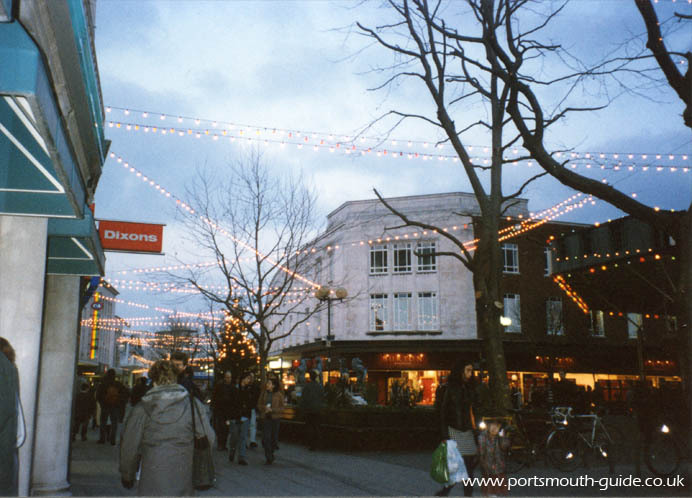 There are other shopping centres located at Palmerstone Road, Southsea and one at Gunwharf Quays.